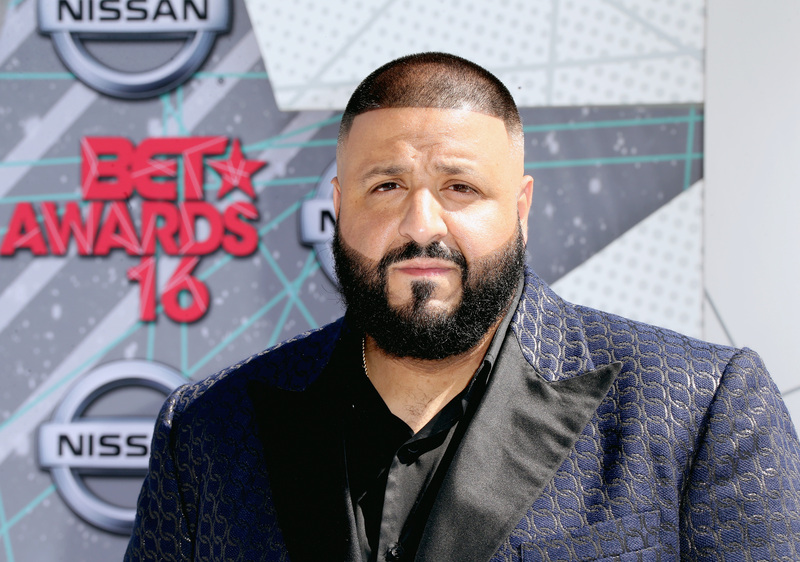 DJ Khaled might be the last person you thought would be collaborating on beauty products, but the DJ Khaled x Palmer's Cocoa Butter joint could become the perfect stocking stuffer this holiday season. Obsessed with all the pros that cocoa butter brings to the table, Khaled decided to collaborate with the beloved cocoa butter brand and make a special-edition range of his own. According to his Snapchat, cocoa butter is the key to success, so perhaps he just wants to give us all a leg up with his very own formula. The man uses it for everything — he even skips the cologne and replaces it with the lotion's warm scents. The line is launching on Dec. 13 from the We the Best Store and Palmers.com, and will include three different products: Live Life Smooth, We The Best Glow, and They Block. While all three are sure to be amazing, They Block is the one to especially look for. In a hilarious Instagram video, he explained the idea behind the lotion — in summary, it's supposed to block all the bad vibes from your haters, repelling them and their energy away. It's like sunblock, but for your enemies. In the Instagram video he rolls through a neighborhood in his car, passing a group of haters that are talking about him. He pulls over, scrambling out of his car and shouting "I got 'they' over there, I need the They Block, HURRY!" and a woman pops out of nowhere and begins slathering the lotion all over his arms. He grabs it out of her hands and begins chasing the haters down the street, who scatter and trip over themselves like he has kryptonite in his hands. Hilar. If that scenario alone won't make you want to buy the product, he also explains the concept behind They Block to Stephen Colbert, who delicately dabs it behind his ears like perfume. This would be an amazing gift because it works on so many levels: You can wrap it up for a DJ Khaled fanatic, trusting that they'll probably appreciate anything coming from one of their favorite artists. You can also gift it to a beauty lover, because who doesn't love the healing powers of cocoa butter. And you can also get They Block as a gag gift, helping out that one friend who always seems to find themselves in the middle of drama at one point or other. It covers all of your bases — haters aren't going to know what hit 'em on Dec. 13 when Khaled's butters hit the market.